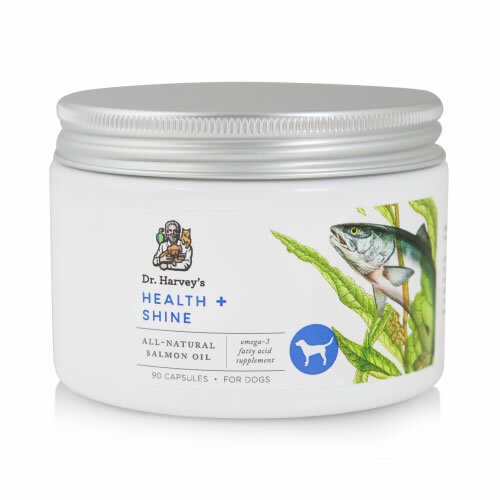 Dr. Harvey's Health & Shine - 90 ct.
Dr. Harvey's Health and Shine for dogs is pure salmon oil with Omega 3 fatty acids to help reduce itchy skin and shedding and promote a shiny, healthy coat. Health and Shine not only helps promote a shiny coat and reduce itchy dry skin in dogs, but it also helps reduce joint inflammation and keep your dog’s joints in great condition. Health and Shine is recommended for young and old dogs. 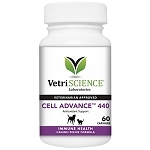 It works to condition joints as well as promote joint health in puppies. 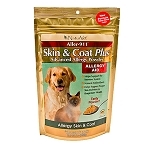 Only 100% human grade ingredients are used -- no colors added, no preservatives, no chemicals. Each bottle contains 90 gelcaps. Also available in 180 ct. size . Give one capsule daily for each 20 lbs of body weight. Feed the capsule whole with food or pierce the capsule and squirt onto food.